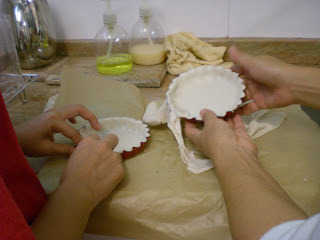 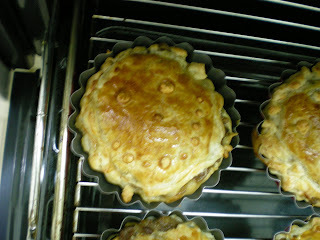 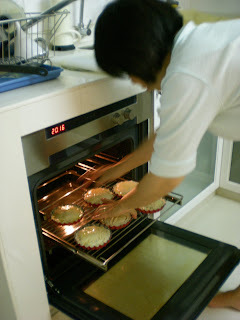 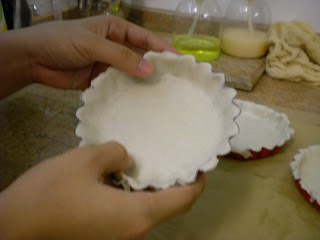 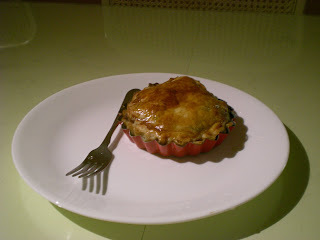 Today, me and my mother baked pie! 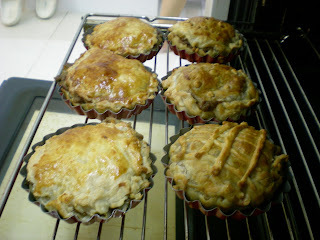 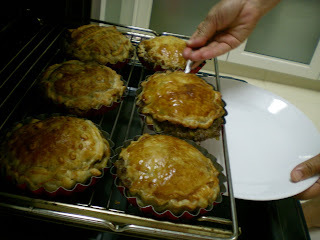 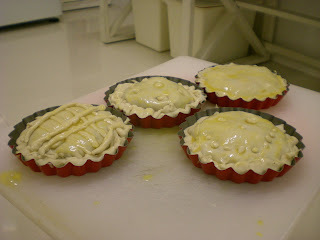 Turned out, she bought the wrong kinda pastry..
haha, but it turned out ok.. 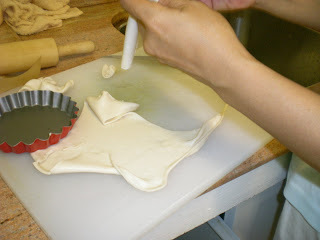 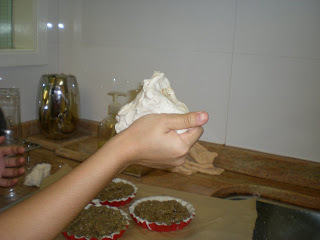 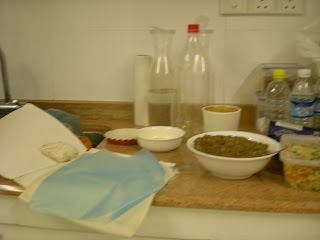 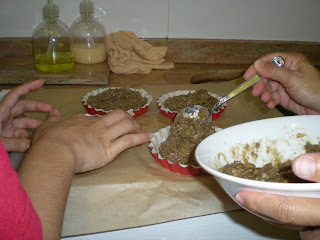 Here's the ingredients.A huge chunka cooked minced beef ,and the pastry dough. 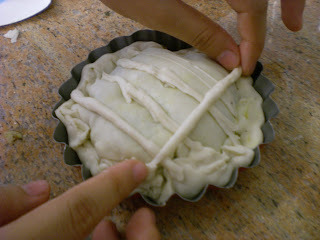 had to knead it alot. 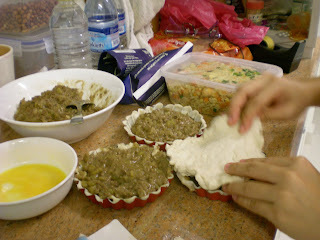 we added in the stuffin.